The benefits of Valerian Root cannot be ignored. Historically the herb has been used as a sedative, pain reliever, anti-convulsant, and for migraine treatment. People in China have been drinking Valerian tea for generations, and indigenous populations in South America have been doing the same. 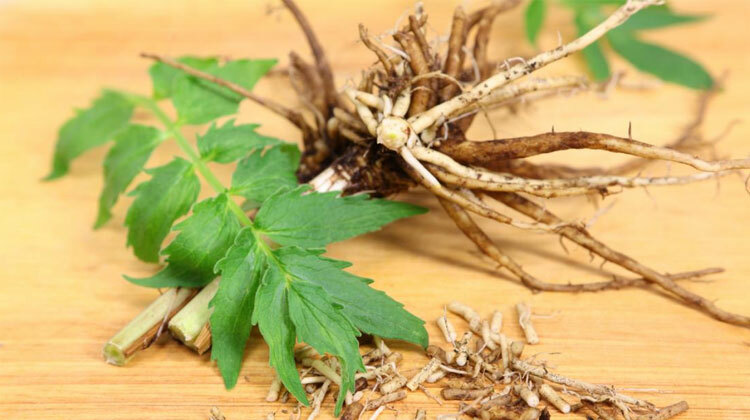 No one knows why Valerian is such aÂ great natural remedy, but scientists believe it has something to do with how it works with GABAA receptors in the brain. However it works, one thing is clear: Valerian is becoming an increasingly common method of treating all manner of physical and psychological ailments. More and more people around the world are coming to recognize the benefits of Valerian, especially when taken with tea before bed. Insomnia sufferers everywhere found out long ago that Valerian could get them that restful nights sleep they’ve been craving. And the root is increasingly being used for anxiety disorders, a much safer alternative than pharmacological sedatives. Valerian tea works especially well for those suffering from gastrointestinal pain. It doesn’t€™t take much more than a cup or two a day to send irritable bowel syndrome on the run. Stomach cramps and intestinal colic also find their match with Valerian tea, since many of its properties work like a muscle relaxant. Everyone is stressed out these days, but those drinking Valerian tea probably less so. Anxiousness, excitability, and tension have all been reported to decrease with people taking Valerian as a supplement, whether through a pill or in Valerian tea. The herb acts as an antioxidant, and that improves the brain’s function. When the brain is functioning better, you’ll feel less stressed and burned out, and more rested and relaxed. So the next time those work deadlines have you all worked up, consider having Valerian tea to calm down. If you’ve been counting sheep for hours, get up and have a cup. You’ll soon find that Valerian tea tastes great, and makes you feel great too! Next article Yoga and Toxins: Does Yoga Help Me Detox?